Nakeisha Daniel is originally from Atlanta, Ga. Regional credits include: Run Around Sue (34 West Theater), Race (Ocean State Theater), To Kill a Mockingbird, Scapin (Utah Shakespeare Fest. ); Twelfth Night (Westport Country Playhouse); Sunjata Kamalenya (McCarter Theatre Center); Romeo & Juliet, Two Gentleman of Verona the Musical (The Nebraska Shakespeare Festival); The Apple Tree (Pennsylvania Center Stage); Ain’t Misbehavin’, Little Shop of Horrors (Arizona Broadway Theatre); Disney’s Aladdin Jr. (Alliance Theatre Company); Ragtime (Charleston Stage Company). Nakeisha is a teaching artist with the Alliance Theater in Atlanta and Engaging Creative Minds in Charleston. 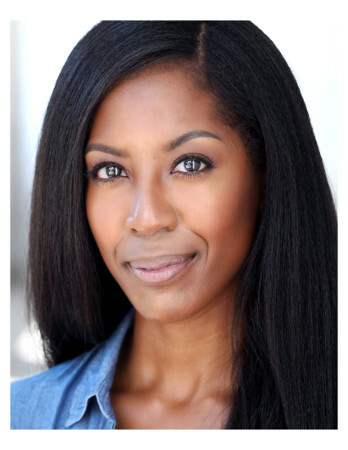 She holds an MFA in Acting from Penn State University and BFA in Musical Theatre from Shorter College.